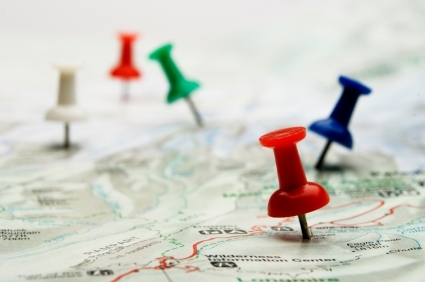 A Beginner’s Guide to Local SEO. Posted September 13th, 2012 by Adam & filed under Codastar News. The online world is becoming smaller by the minute, with the rise of voice and mobile search dominating the engines and ever increasing day by day. With this in mind – being viewed as a ‘local’ business is becoming more and more important with each passing Google doodle. If you already have a digital strategy in place, you will know/understand the principles of SEO as a whole (if not, have a look over our FAQ on the search engine marketing here) – but with Google now giving greater importance to the ‘local’ nature of your business, you need to ensure that you optimise your local SEO to make sure you literally – get on the map and are visible to your customers. How do you do this? Well, we have put together a few simple steps to take to ensure that your company is part of your community, enabling customers to convert with a simple click. Include your address and contact information on every page of your website in text format. Contact details are fairly usual on all pages as great calls-to-action, but displaying an address lets the search engines know that you are part of the ‘real world’ as well as the digital one. It is vital that the information is displayed as ‘text’, and not part of a fancy picture or graphic. Google literally ‘reads’ your page for key words and information, and whilst an image might look great, it will defeat the purpose of the operation. Do you run/own a chain of businesses operating out of multiple locations? Have a specific web page for each place you work from. Do you live in an area where specific words or phrases tend to be used? Try to keep a ‘local’ feel with your descriptions and promotions. For example, a restaurant in Portsmouth could feature the ‘Southsea Special’ (a local area) using local produce and descriptions of said produce. Say Hello to Search Engines. Search engines aren’t about luck or guess work – they will find you and show you in their results, you just need to give them a wave and let them know you are there to begin with. Google Places, Yahoo Local and Bing Local are the modern day equivilent to the ‘Yellow Pages’ of yester-year. Once you have claimed a profile’ on each site and entered your key information, you can manage each page, posting photos and promotions, or any other content you think your customers will like. As the most used search engine and map provider, you really do need to invest some time into promoting yourself locally using Google. Check out our step by step guide to Google+ Local , and ensure that you are pinpointed locally for anyone looking for your services in your area. Local directories are a massively undervalued tool when it comes to Local SEO. There are hundreds out there, and there may be some key pages you already know of locally that are worth connecting with. In the mean time, focus on the key pages that are high quality and have a good reputation (and by good reputation, we mean with Google, as much as the general public). Sites such as Citysearch, Yelp, and TripAdvisor (to name a few) have quality page rank value, and crawled by search engines on a regular basis. Find the key directories that are likely to engage with your target audience/customer and ensure you are listed accordingly. Online reviews are critical for any local SEO strategy, for two reasons. Reviews add credibility to your business. With others commenting on your services, you not only appear ‘real’ in an otherwise virtual world, but also helps promotes your services/products to others with you doing very little other than being your usual wonderfully-customer-centric self. Postive reviews and feedback not only gain trust with your customers, but with search engines, deeming you ‘relevant’ and a leader in your local field, boosting your rankings accordingly. Check out our guide to find out how to gain reviews using Google+ Local. For further information on how you can improve your Local SEO (or of course, your overall rankings too!) contact us today and see how we can help you.